This picture drawn by my daughter made my week! I love the caption, "Love is a Hart." Awww. 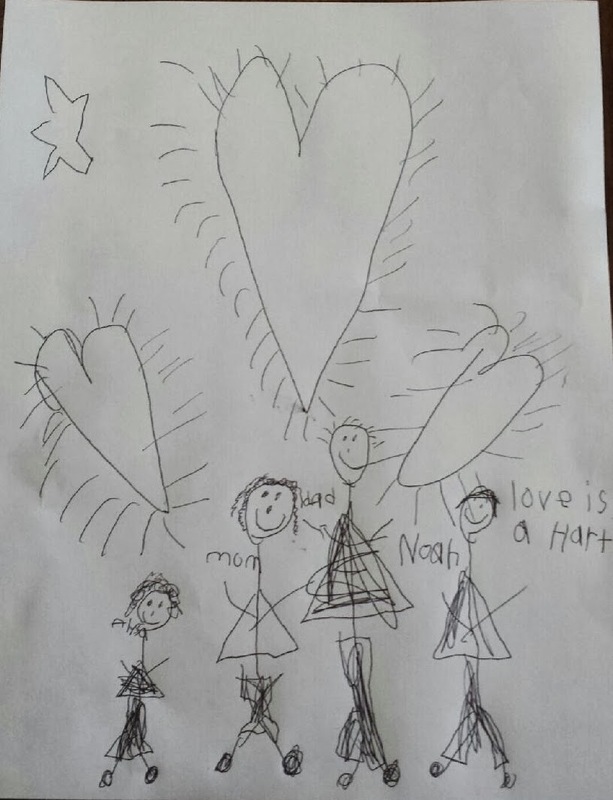 pictures my kids drew of the family when they were small are some of my favorites. I love the drawings that kids make. My daughter makes so many things these days to keep down on the clutter I try to take pictures of them and then save only the really special ones.